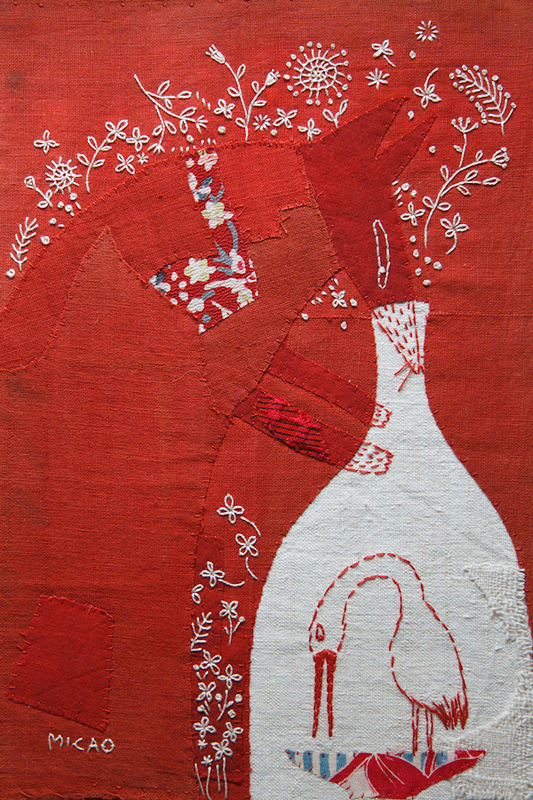 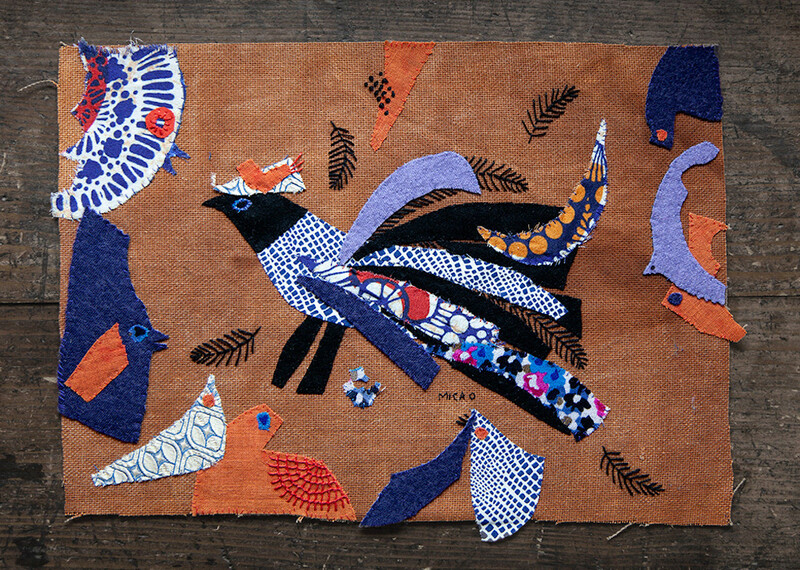 Artist Mika Hirasa uses cloth as if it were paint and stitches as brushstrokes in narrative hand appliqué embroidery. 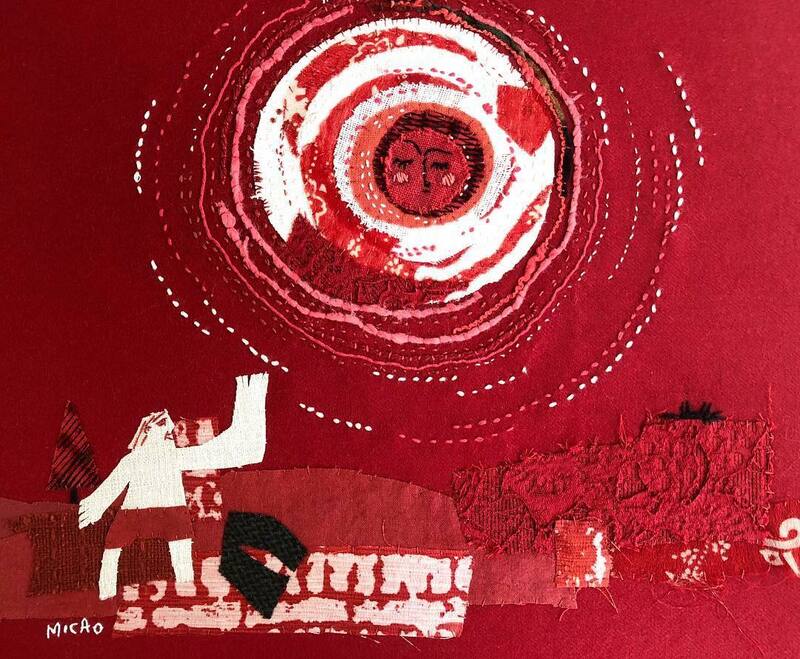 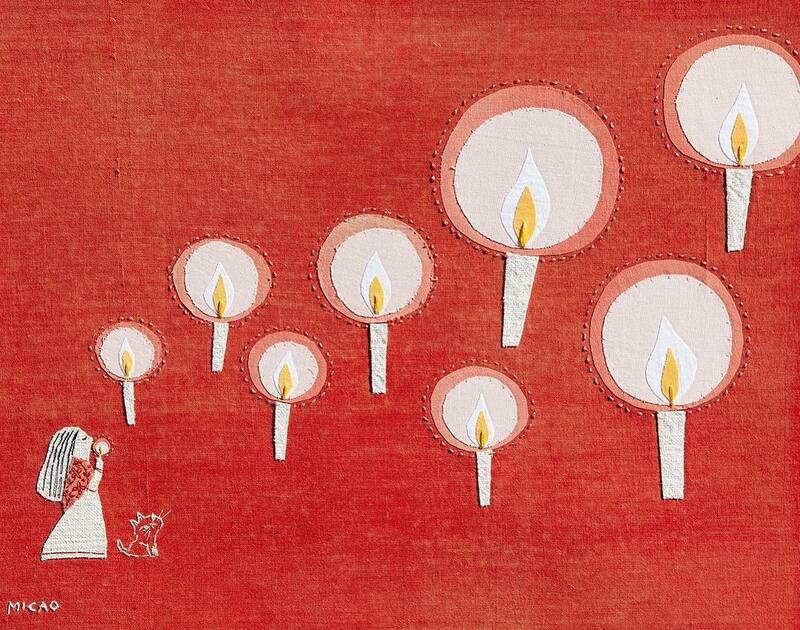 Her work is often focused on fables and classic stories like Little Red Riding Hood, and the time-honored craft techniques pair well with the iconic tales. 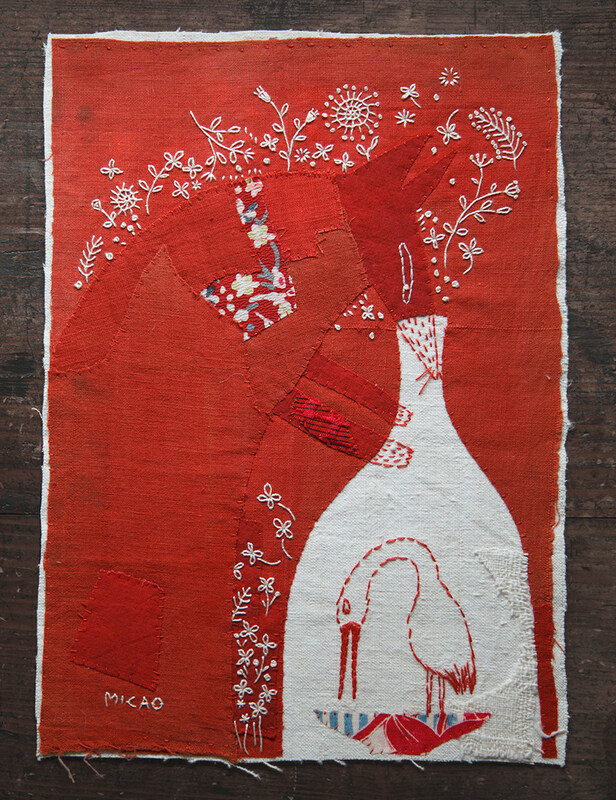 The chosen stories provide an entry point into Mika’s work, but it’s her artistic approaches that keep me studying every inch of the images. 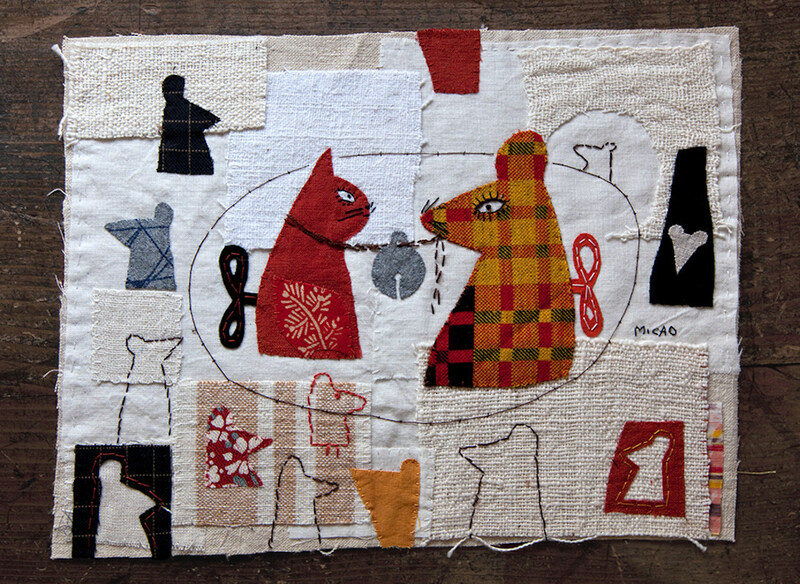 The fine details, particularly the stitches, demonstrate the powerful visual combination when paired with fabric; her decorative details add another interpretive layer to the story—making something that’s been told countless times feel intimate and like her own. 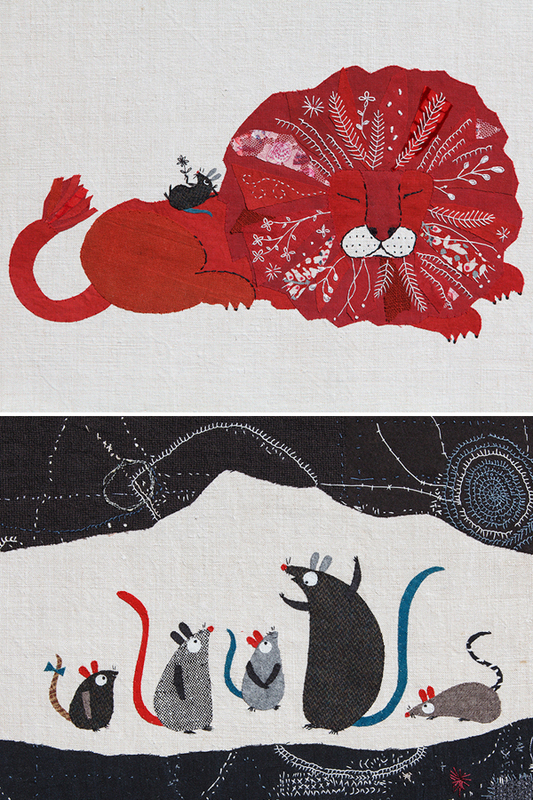 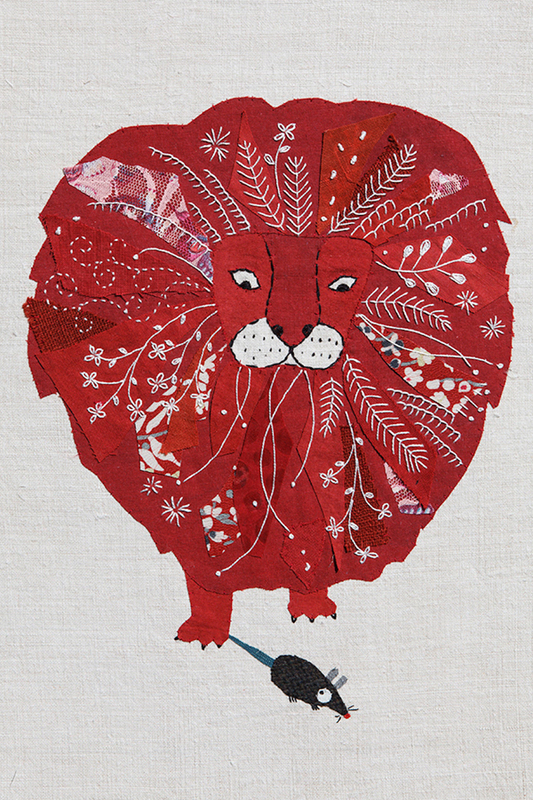 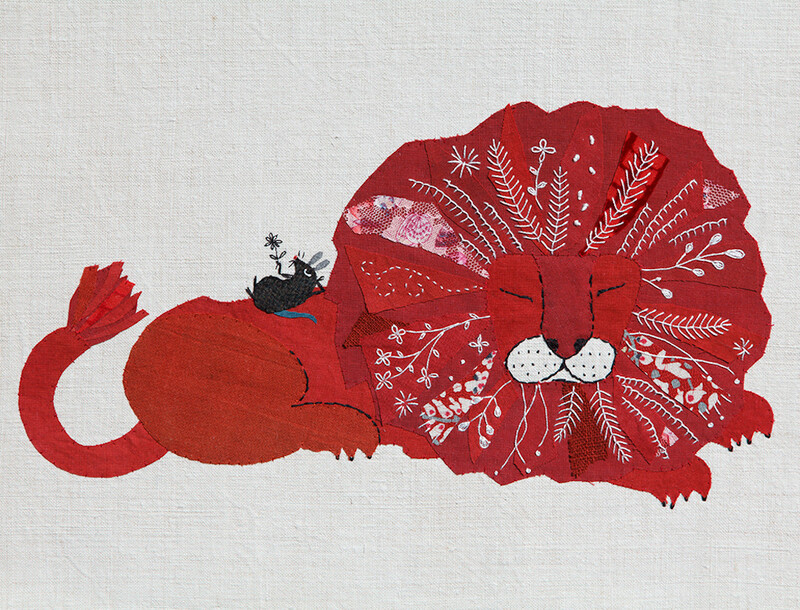 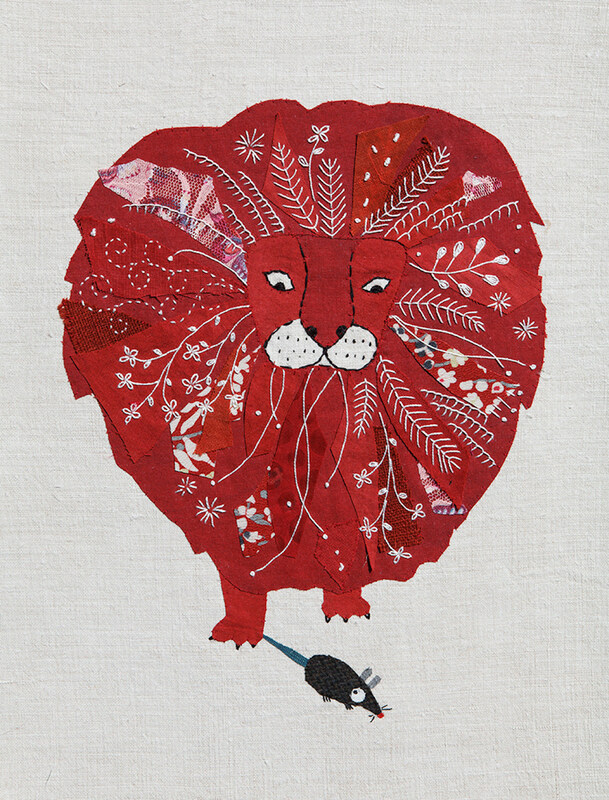 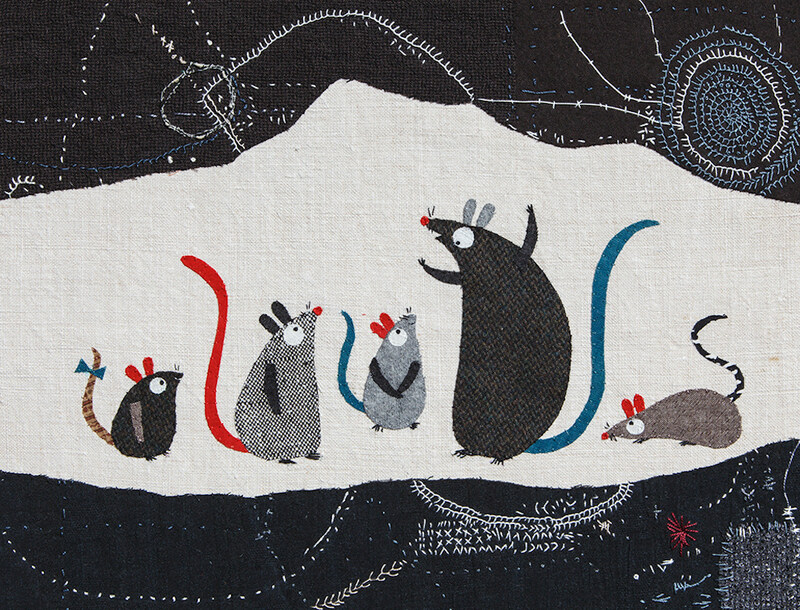 Combining hand appliqué and embroidery, Mika Hirasa illustrates fables and other fantastical tales. 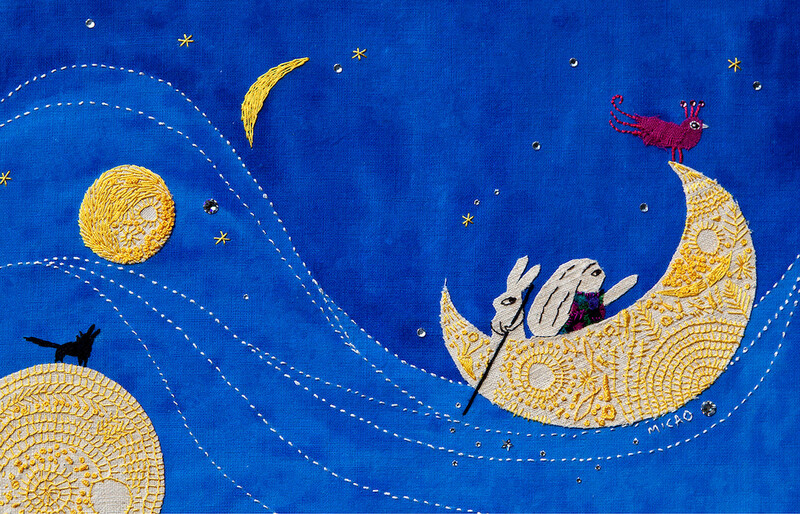 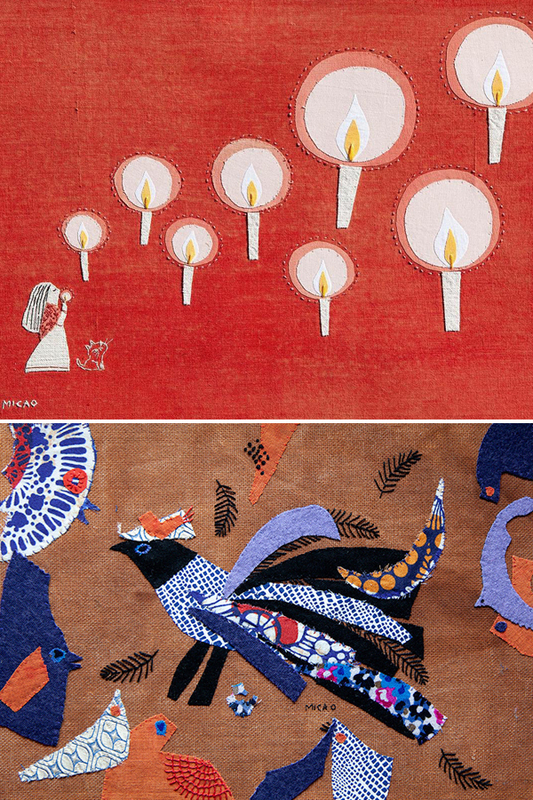 The post Together, Appliqué and Embroidery Offer a Contemporary Spin on Classic Tales appeared first on Brown Paper Bag.